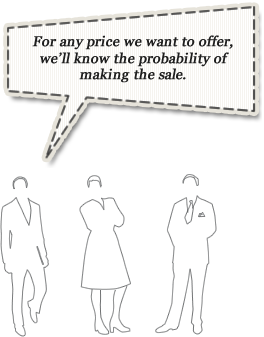 What if you knew how different prices and discounts affect sales revenues and a prospect’s willingness to buy a particular product? What if you could avoid selling too high or too low and could unfold your true revenue potential? 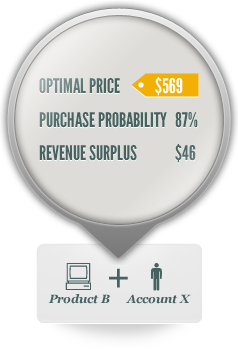 What if you knew the optimal price to offer, which is scientifically proven to boost your revenue? 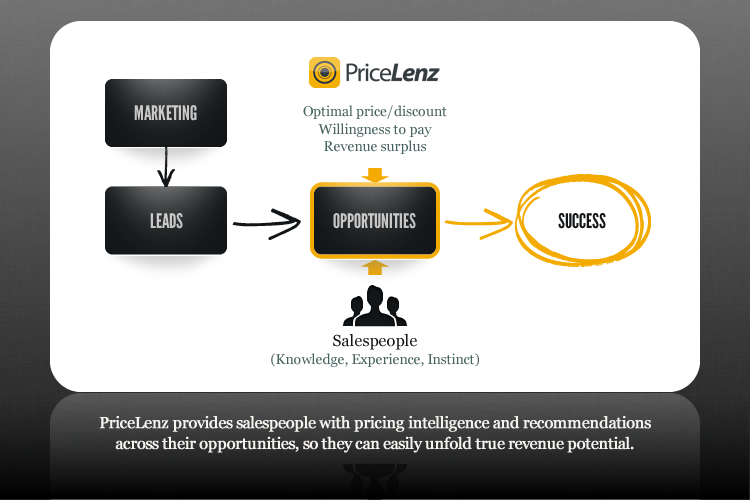 With PriceLenz for Salesforce® you will gain valuable insight into where there is potential for more revenue. You’ll discover the right prices to offer, and make sales without sacrificing revenue. quantitative indicators to support decision making. Whether you’re in the office, or on-site with the customer, you’ll be equipped to maximize revenue opportunities and avoid excessive discounts. Mobile pricing intelligence, both in the office and in front of the customer. 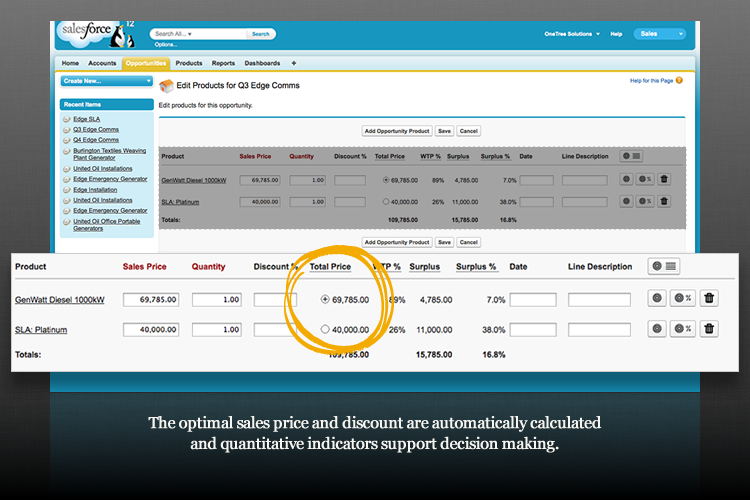 Achieve more profitable deals without sacrificing revenue with unnecessary discounts. Enhance your knowledge with scientifically calculated pricing recommendations. 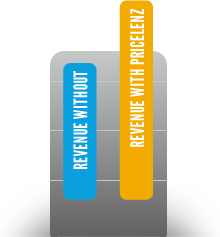 Identify and exploit revenue opportunities consistently. Easy to use and you can get started with a free trial. Get peace-of-mind with comprehensive support. PriceLenz offers an easy-to-use and cost-effective way to boost revenue within a familiar environment, whether it’s from a web browser or iPhone. 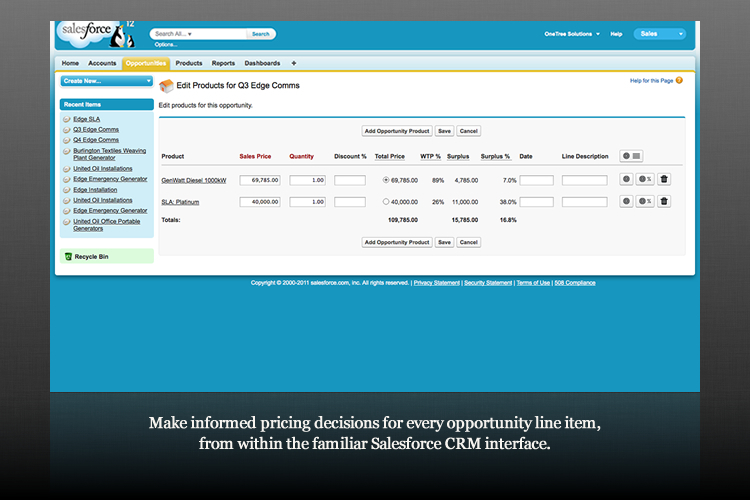 uses standard Salesforce definitions and objects. 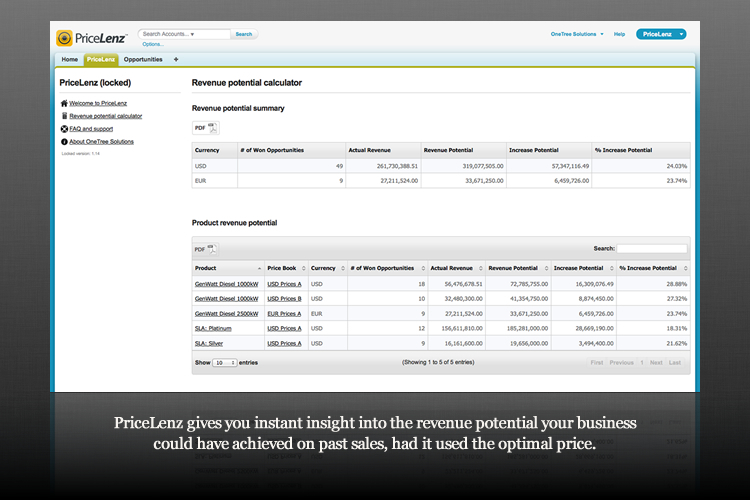 Install PriceLenz for Salesforce from the AppExchange® now and become a pricing expert. It’s free for 30 days, and no credit card required. PriceLenz is a registered trademark of OneTree Solutions S.A. Salesforce, Salesforce CRM and AppExchange are trademarks of salesforce.com, inc. All other trademarks are the property of their respective owners. 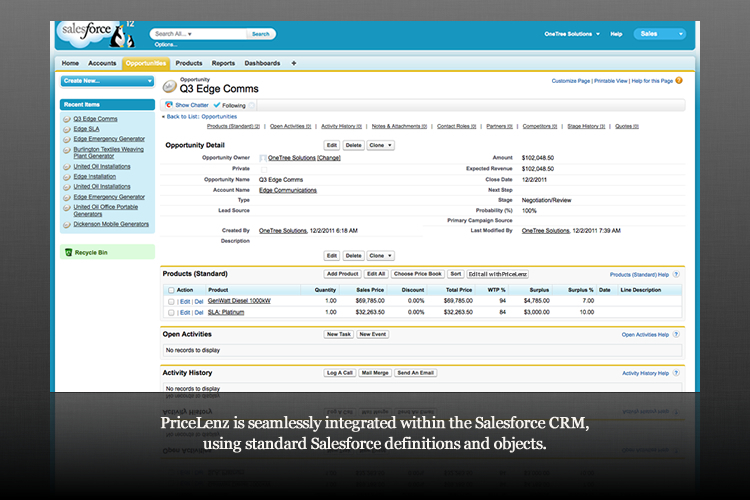 Get full access to PriceLenz for Salesforce with our 30-day free trial. 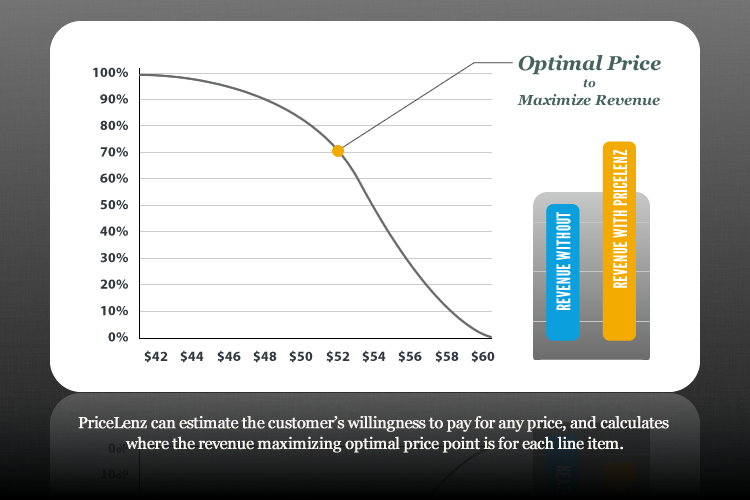 Tap into the power of price optimization today. 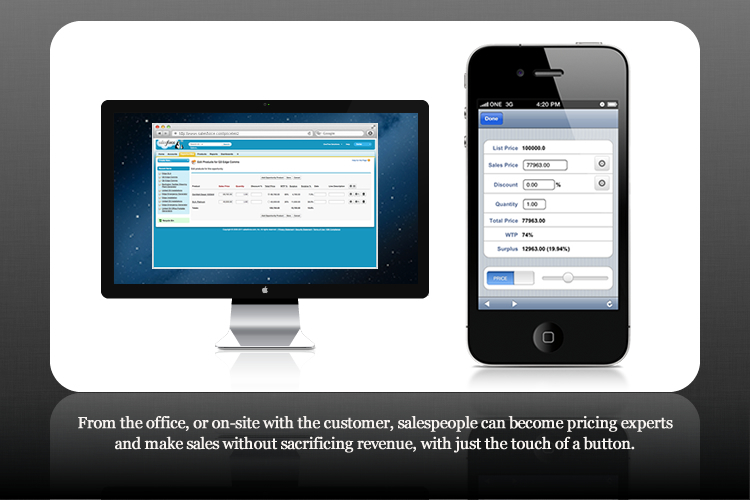 Download the PriceLenz for Salesforce brochure (PDF). The installation guide and mobile configuration guide are available from our AppExchange listing under the resources section, but we’ve added them here too, in case you need them. We’re happy to hear from you. Please contact us if you’d like a demo or want to discuss how PriceLenz can help you.